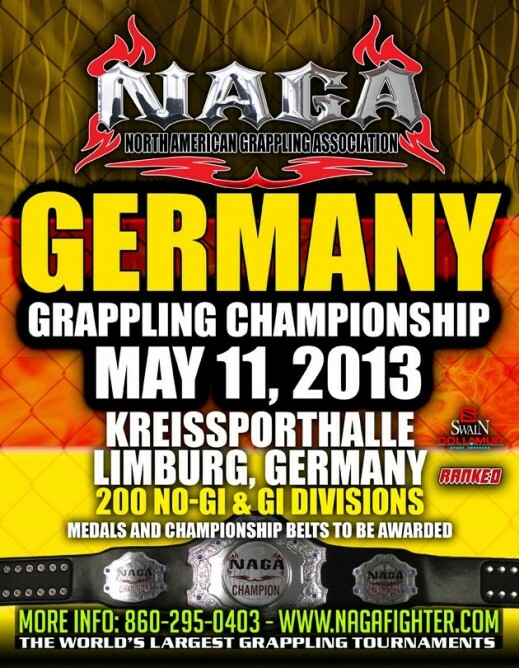 The 2013 NAGA Germany Grappling Championship were held last weekend. The level of talent and sportsmanship was top notch. Highlight of the North American Grappling Association – championship (NAGA) in Limburg, Germany. 05/11/2013. Filmed by Maximilian Geiss (Alliance Jiu-Jitsu Team). Music by Nachtholm.